The ICS Turbo 3000 motor is available now featuring high rotational speed, super torque power and long-lasting efficiency. 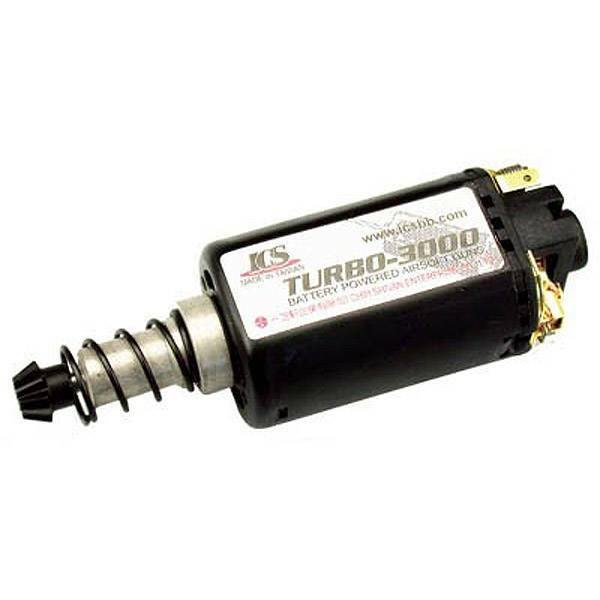 The Turbo 3000 features upgraded components that avoid internal burning–suitable for any aftermarket upgrade. The torque on the Turbo 3000 is almost double that of the Turbo 2000–an average of 3875 kg/cm. Even when using an M180 spring you will not notice a decrease in rotational speed, making it the perfect“invincible”motor! Customers buying a new ICS AEG will also benefit from this new design. Every new ICS AEG features the Turbo 3000 motor included as standard – yet another reason to choose ICS!